Madhur Jaffrey’s award-winning cookbook, World Vegetarian is an indispensable colleciton of international dishes that will appeal to equally to vegetarians, meat-eaters and all those in between. This is ethnic cuisine at its best with vibrant flavours, fresh ingredients and diverse tastes – all meatless and pulled together from one of the finest cooks and food writers in the world. There are pages full of traditional recipes and newly created ones in World Vegetarian where cuisines and ingredients happily mix. Thankfully Madhur takes a respectful yet relaxed approach in her selection of representative dishes which is a natural reflection of the diverse families, backgrounds and tastes in today’s kitchens. This is further reflected in her organization which is by food type rather than country with recipes divided into the following groups, Beans; Vegetables (200 recipes on veg alone! 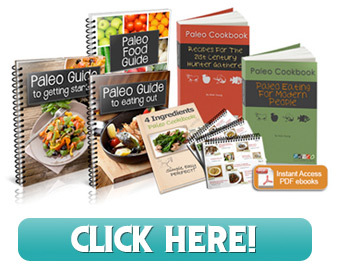 ); Grains; Dairy; Soups: Salads: Drinks and Sauces. Good news, Madhur loves beans and bean dishes figure prominently here – praised for both their diversity and high nutritional benefits they are a welcome and much needed addition to any meal. 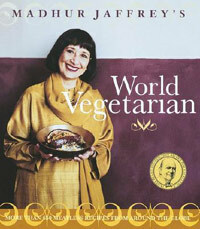 Madhur Jaffrey’s World Vegetarian is a must-have classic and a one-stop shopping of international cuisines and recipes.